Veteran actor Om Puri bid good-bye to all of us earlier this year. The actor paased away on Janaury 6 this year. Om puri is recognized for his acting skills across the globe. His sudden death shocked Bollywood and his fans. While Bollywood fraternity and fans mourned Om Puri’s desmise, Hollywood too paid tribute to our veteran actor at Oscar’s awards night recognizing his contribution in the film industry. Known for his straight forward attitude, he used to grab the attention for many controversy statements. His latest insensitive tweets while alive were on dishonoring the sacrifices of our soldiers which drew flak from almost everyone, including his colleague Anupam Kher. His close association with Pakistan made him stand popular with this neighboring country. His link with Pakistan raised many questions, doubts and conspiracy theories around his death. 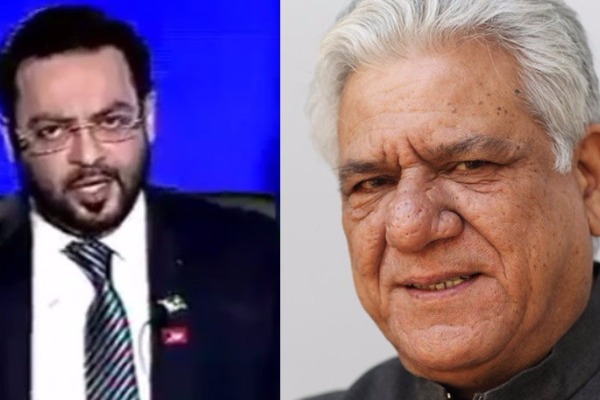 Anchor Aamir Liaquat from Daily Pak News cliamed that Om Puri’s ghost is seeking revenge against Ajit Doval. Ajit Doval is India’s national security adviser who according to Pak channel is responsible for Om Puri’s death. Though the video is two months old now, it resurfaced and gone viral only now when Indian channel ‘Aaj Tak’ played it on TV this weekend. If you are wondering how and why Ajit Doval could be responsible for Om Puri’s death. Well, according to Bol TV – Om Puri had taken a stand in favour of Pakistani artists when they were banned to enter India after Uri Attack fiasco. It was then, Ajit Doval had planned his murder. Previous : Ohh Bad! Divyanka Tripathi Injured, Will Husband Vivek Dahiya Perform Solo On Nach Baliye 8?